The Belle Valley Church sanctuary will be available from 12:00 PM to 3:00 PM on Friday, April 19th, 2019 for those who would like to reflect during this time. All children are welcome!! 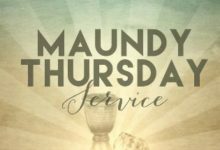 Use this as an opportunity to invite friends, co-workers, neighbors to our 11am Service of the Resurrection and share that all kids can stay a few minutes after worship to hunt for treat-filled eggs (we will also be handing out kids meal vouchers from Texas Roadhouse for the holiday). 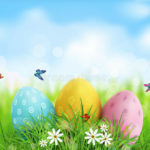 If you’d like to donate a bag of smallest sized chocolate candy and hard candies (like Jolly Ranchers), please bring it with you to church this Sunday, 4/14/2019, morning for worship so we can prepare the eggs for the hunt. You can just leave those candy donations on the foyer table to the left when you enter our facility. Passover Seder Experience (thru the Eyes of Jesus), Sunday, April 14, 2019 at 6pm at Belle Valley Church. 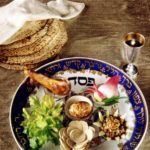 The Seder is what is observed by the Jewish community at Passover (the commemoration of the celebration of God’s presence and direction of the Jews from Egyptian slavery to the Promised Land). It is a very specific meal (symbolizing the details of the Exodus from Egypt into the Promised Land). It includes elements of worship as well. 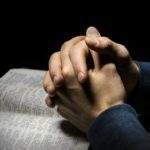 But our Seder also celebrates how Jesus meets the requirements for the Promised Messiah of the Old Testament as we look at how the symbols of the Seder are fulfilled in Christ as well. We had a wonderful time last year when we celebrated it for the first time in our fellowship hall. The meal is without cost, but we would like to have your RSVP into Clay & Kristin Woodring by this Thursday 4/11/2019 so they can plan enough food for the meal. Their contact #s are: 572-0743 (Clay) and 572-5463 (Kristin). Please plan to join us and prepare your hearts for Holy Week. If you’d like to donate a food item for the meal, simply ask the Woodrings what they are still in need of. 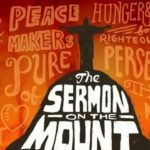 “Sermon on the Mount” Study Opportunity! Join us the Wednesdays of Lent (3/13, 20, 27; April 3, 10, 17) @ 6:30pm (w/ lite refreshments) as we wrestle together with the implications of Christ’s passion through the lens of the Sermon on the Mount. We’ll meet at Elmwood Avenue Presbyterian Church in March, and then at Belle Valley in April! This study will correspond with our worship series for the season of Lent!! 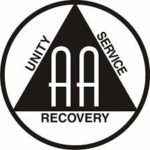 Alcoholics Anonymous is a fellowship of men and women who share their experience, strength and hope with each other; that they may solve their common problem and help others to recover from alcoholism. The only requirement for membership is a desire to stop drinking. There are no dues or fees for A.A.membership; we are self-supporting through our own contributions. A.A. is not allied with any sect, denomination, politics, organization or institution; does not wish to engage in any controversy, neither endorses nor opposes any causes. All women welcome!!! Come and enjoy the fellowship and good food! 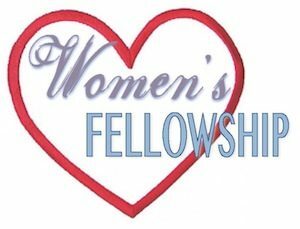 We meet at 5:30 PM at the church as a car pool option or 6:00 PM at the restaurant. Please RSVP the Sunday prior to the Thursday Evening Dinner to Chris Tombaugh (882-8932) or Anne Campbell (490-9259). 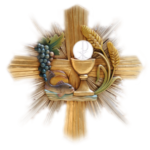 Confirmation Class for those 6th Grade and Up… If you are ages 11+ (approximately 6 th thru 10 th grade) or have not been confirmed and would like to be, we will have a Confirmation class. 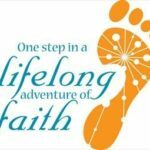 We will begin 3/10/2019 (4pm) and meet usually every other Sunday through early June @ Belle Valley Church; and then plan for a Confirmation Sunday in June. 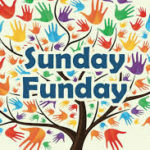 There will be an occasional Sunday that doesn’t work, so we may need to get creative with mtg. times those weeks. Please contact Pastor Dave (814-397-1861) if you are interested. 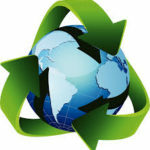 Students can participate even if they’re not sure they wish to become a formal member at this time. 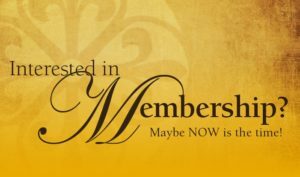 Interested in Exploring Membership? What exactly does it mean to become a member of Belle Valley Presbyterian Church? 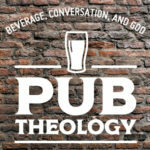 What do I need to know about this congregation (its history, design, and vision) to help me decide? If you’d be interested in further discussion (no strings attached! ), please contact Pastor Dave (814-397-1861). 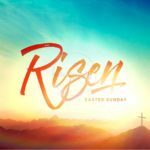 Join us at sunrise, 6:30 a.m; 4/21/2019; at the Winter Green Gorge Cemetery up on the hill to celebrate the Risen Lord! In the case of uncooperative weather please plan to join us at Belle Valley Church right down the road.